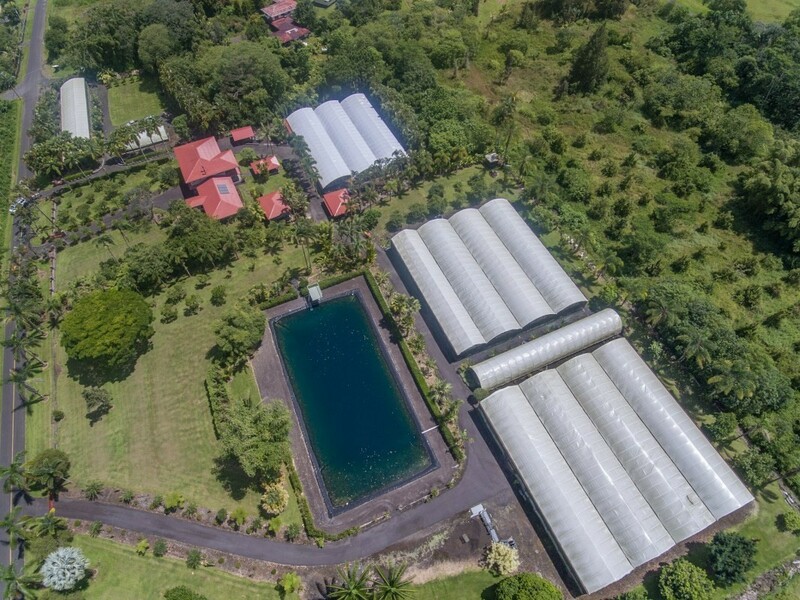 Included is the business name "Kalapana Tropicals", the website with 2 E-stores, accounts, CITES permit for international shipping, orchid inventory and the lab program currently in place in Thailand. The inventory of approx. 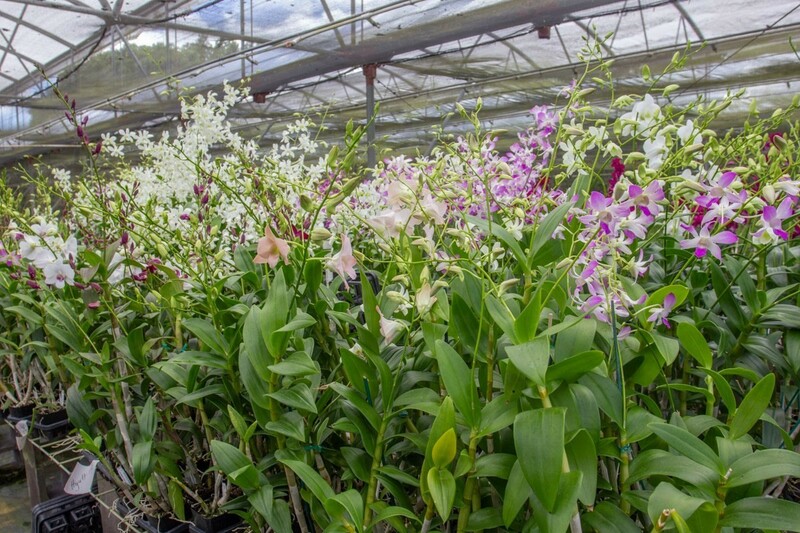 300,000 orchids includes oncidium, zygopetalum, paphiopedilum (lady slipper orchids) masdevallia, dendrobiums, miltonia, vanda, cattleya & cymbidium species. 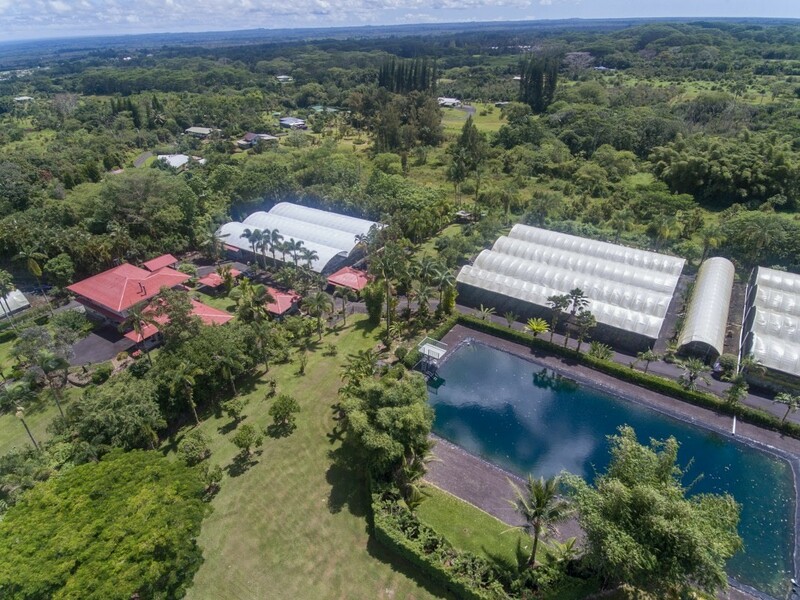 The home and business are located on 6 fully landscaped acres in Kurtistown, 12 miles south of Hilo. 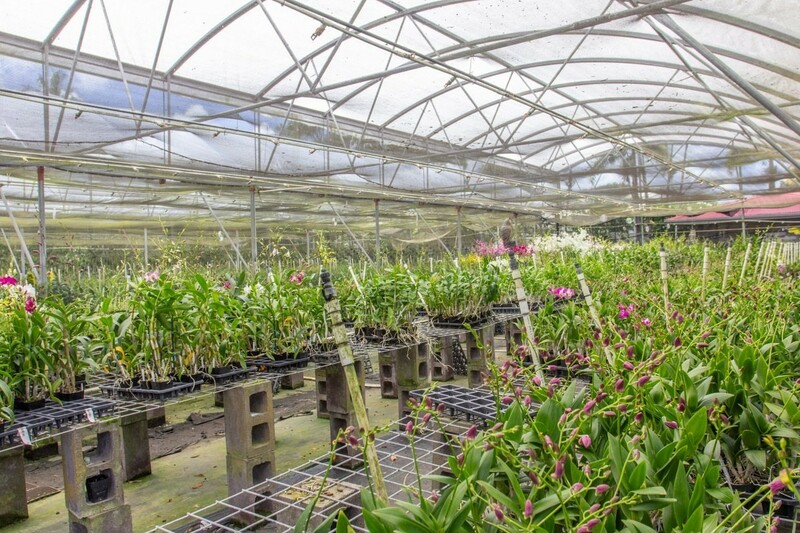 The commercial orchid business is housed in 3 ranges of greenhouse plus 3 free standing - all Conley fixed steel frame. Interior greenhouse space is over 47,000 sqft. 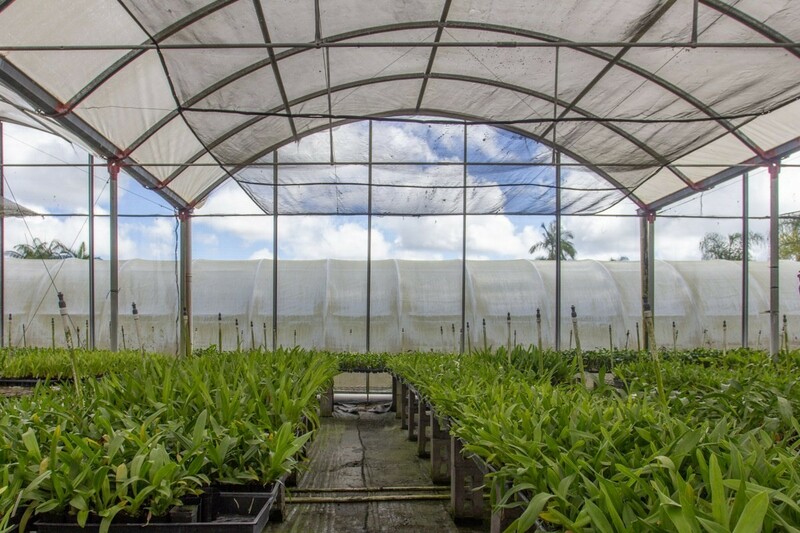 There is a covered potting area for orchids, a 500,000 gallon water reservoir and an office in the packing shed. 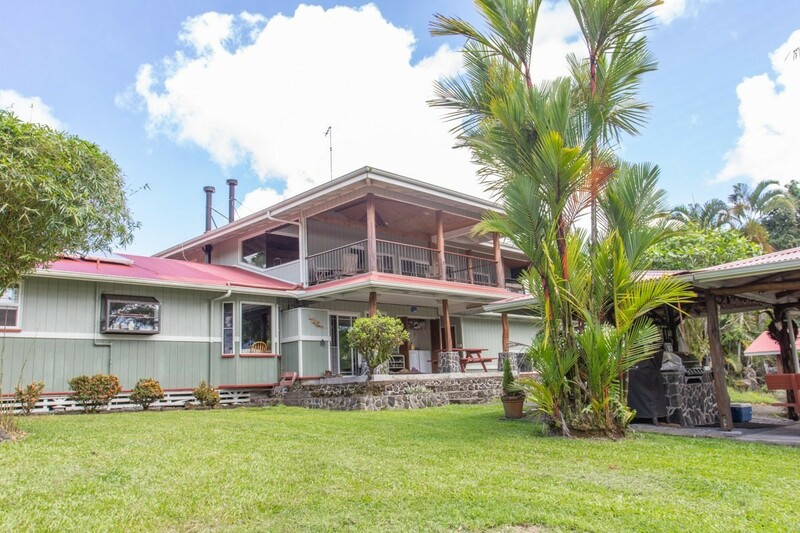 The 2,774 sF custom redwood home was originally built in 1964 with classic Hawaiian features. In 1995 the home had a complete renovation with second story addition. 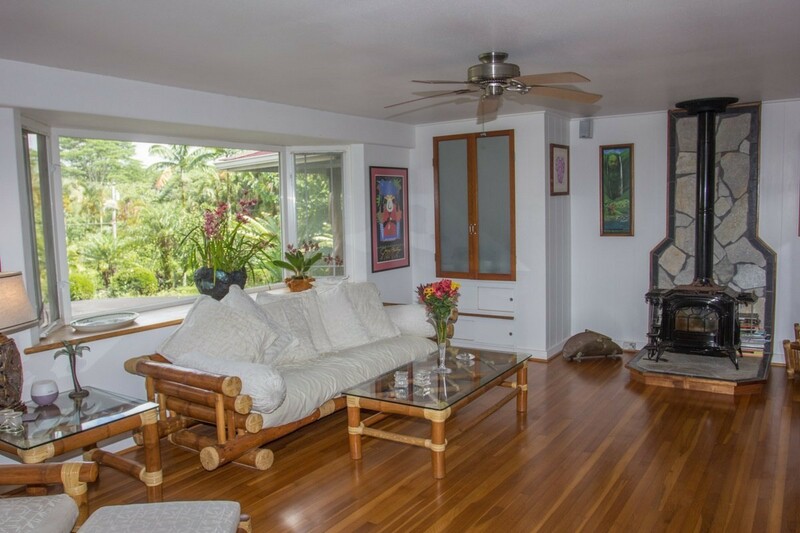 The interior features teak, oak and slate floors, covered lanais upstairs and down, granite counters and custom koa & mango cabinetry. 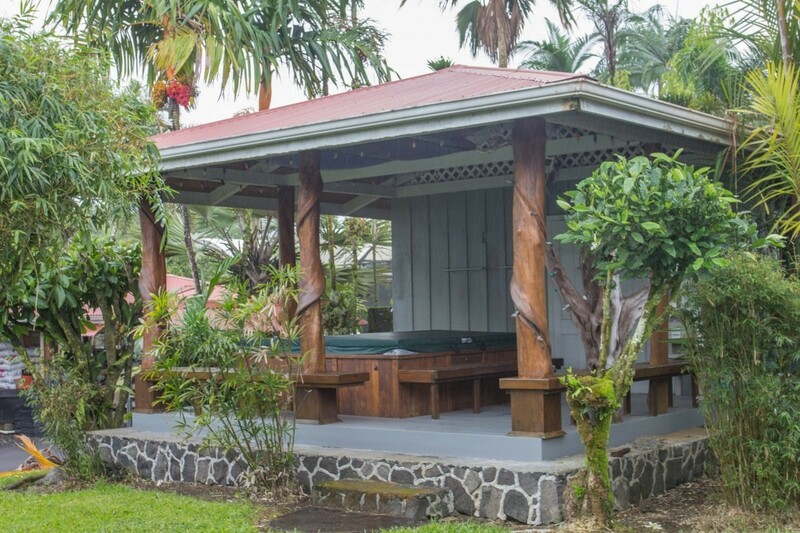 Outside is a separate whirlpool tub bath house with dry sauna and a covered BBQ kitchen area with running water & electricity. 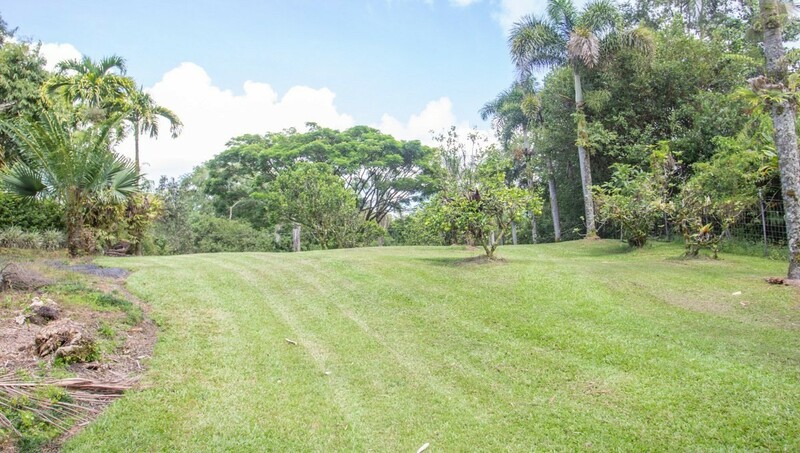 This property sits on a corner lot with a full circular driveway and a separate driveway to the house. 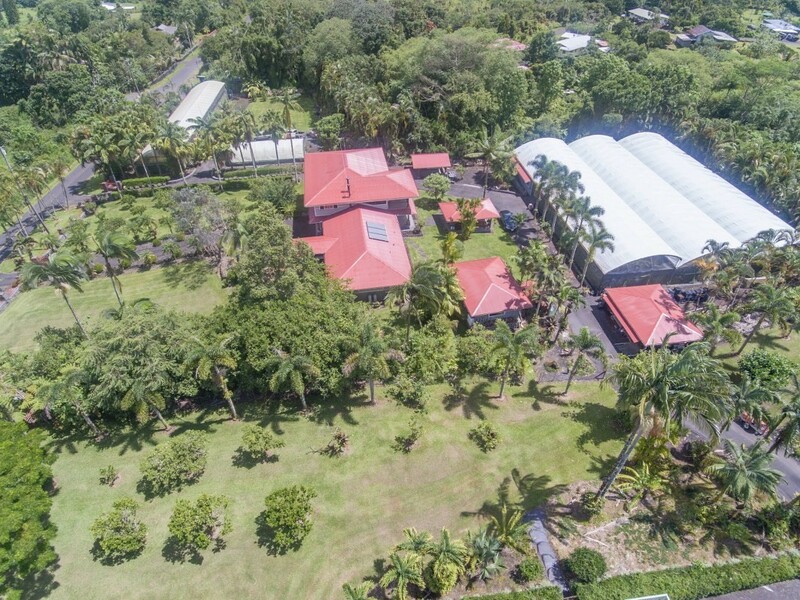 In the yard are tropical fruit producing orchards including: orange, lemon, lime, tangelo, grapefruit, lychee, rambutan, guava, fig, longan, avocado, mountain apple, bananas & other trees. There is also hives & bees and 5 raised beds for gardening & a small chicken coop allow you to grow your own food and eggs! 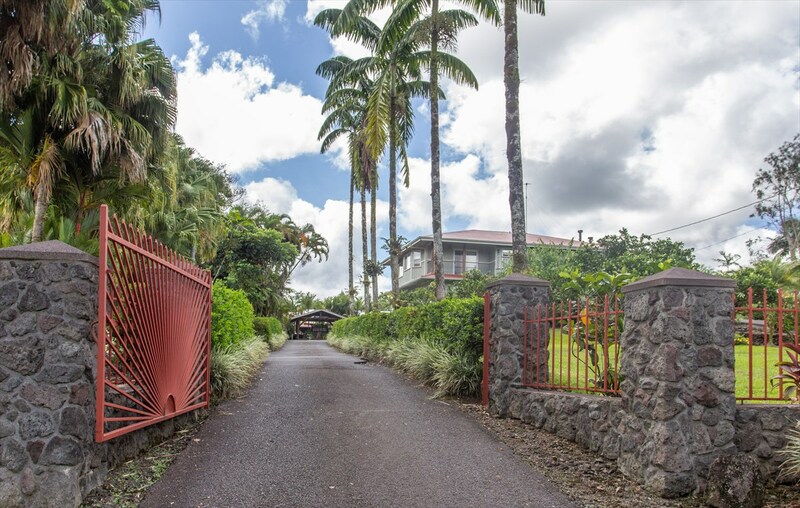 All Buyers must sign non-disclosure agreement for owner&apos;s review & approval. Kalapana Tropicals. 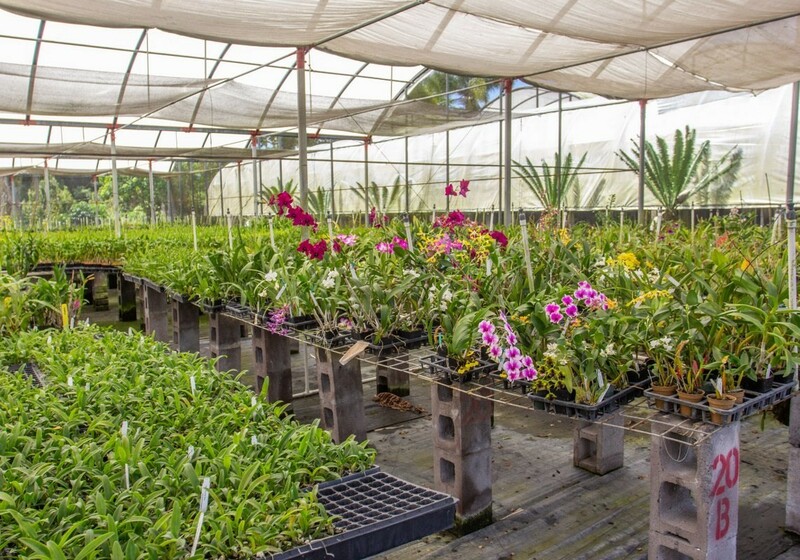 A successful turnkey tropical orchid nursery business. In business for over 30 years with an excellent industry reputation. 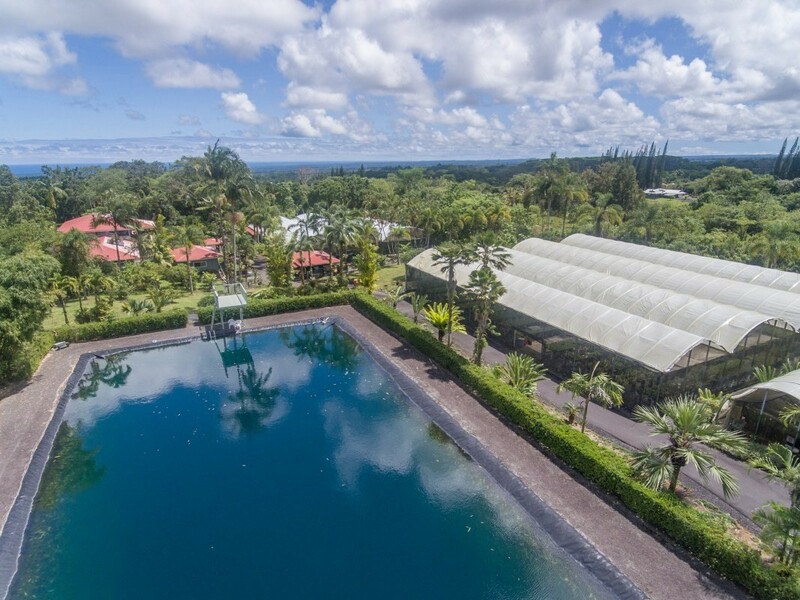 Included in the purchase are 47,000 sf of covered greenhouses, approximately 300,000 potted orchid plants in inventory, and a custom 4 bedroom/2.5 bath residence. 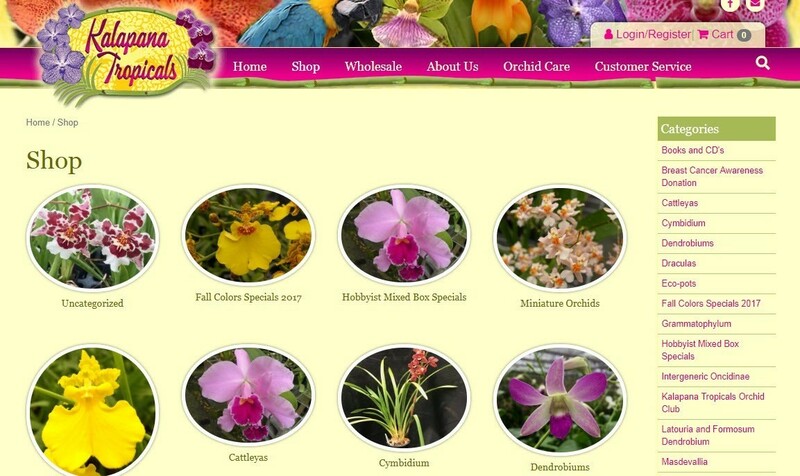 Also included is the Website with 2 E-Stores, a great customer base, Intact marketing program, CITES permit for international shipping, and an AWESOME reputation in the orchid world! One can have a very comfortable lifestyle working right from home! 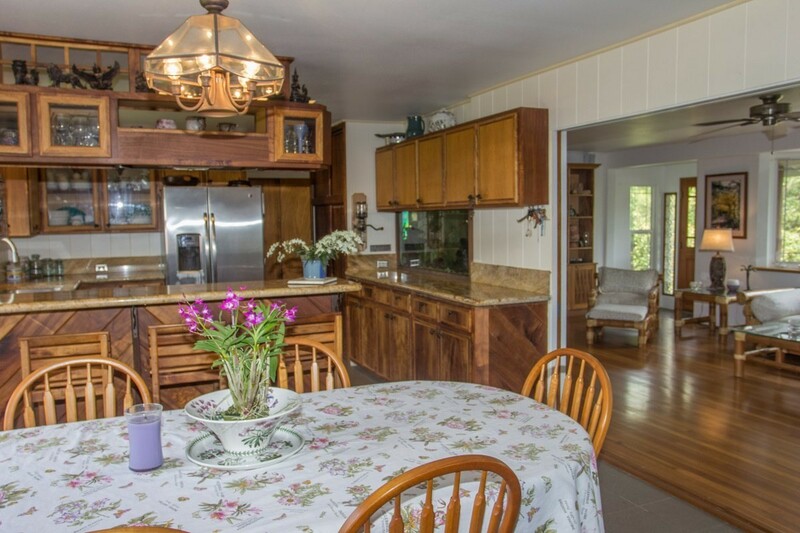 The living room has a large bay window that offers great views of the private 6 acres surrounding the home. It also has a wood burning fireplace, oak hardwood floors and beautiful built-in cabinets. 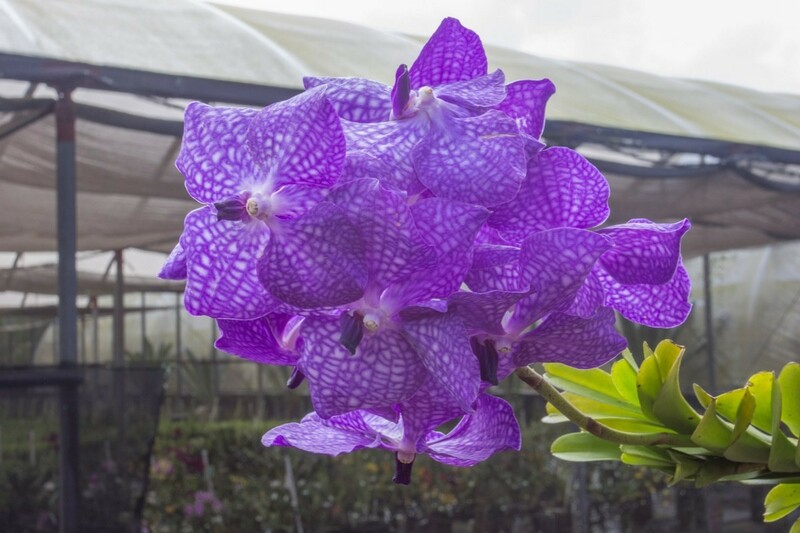 Included in this sale in the business name "Kalapana Tropicals", the website, accounts, orchid inventory and the lab program currently in place in Thailand. 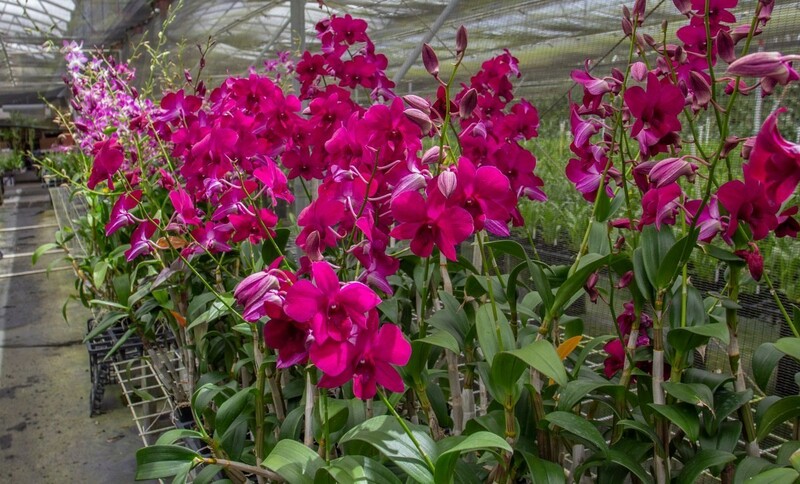 The inventory includes oncidium, zygopetalum, paphiopedilum (lady slipper orchids) masdevallia, dendrobiums, miltonia, vanda, intergeneric oncidinae, encyclia, cattleya, cymbidium and species orchids. 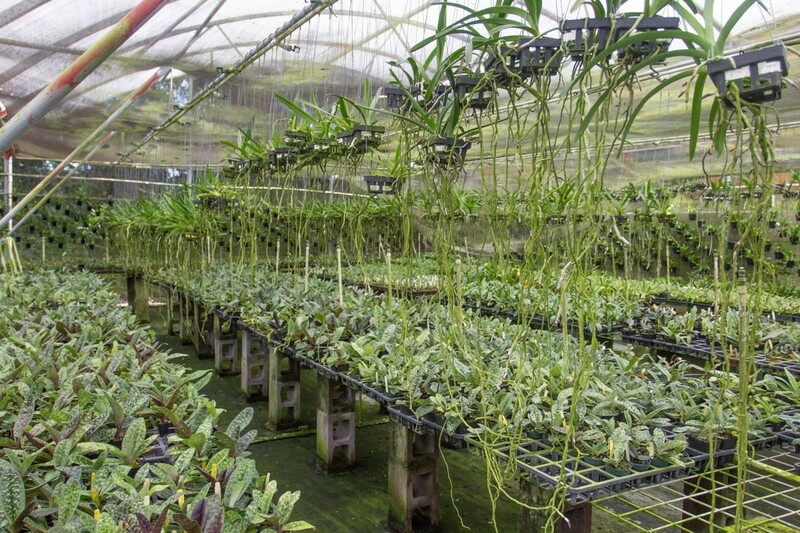 The commercial orchid business is housed in 3 ranges of greenhouse plus 3 free standing - all Conley fixed steel frame. 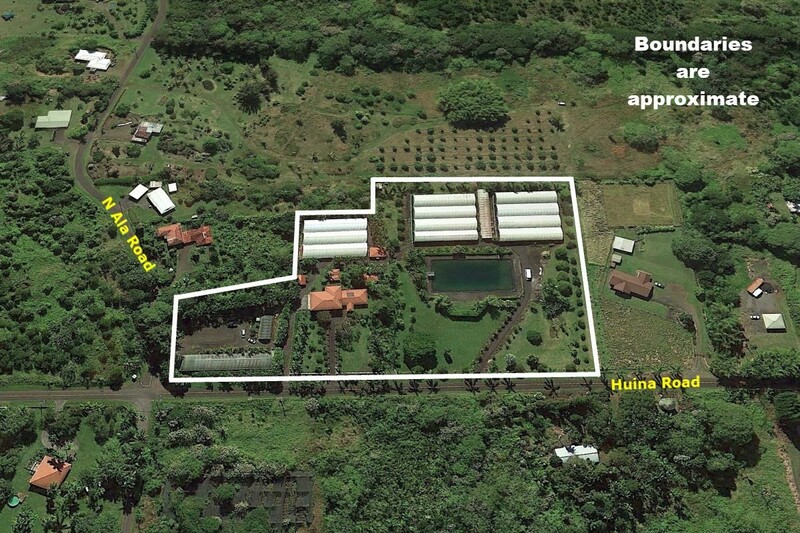 Enjoy a Hawaiian lifestyle with a successful cash flow business. 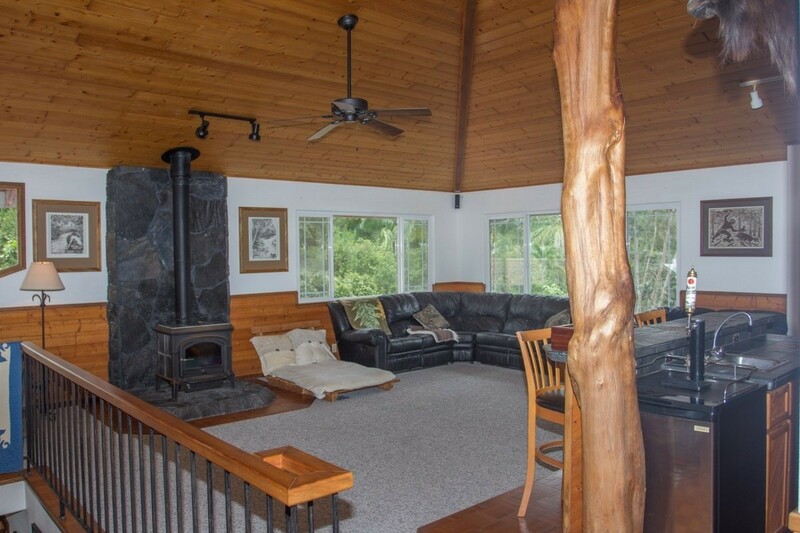 Upstairs lounge with wet bar, wood burning fireplace, and natural Ohia post and lava rock details. 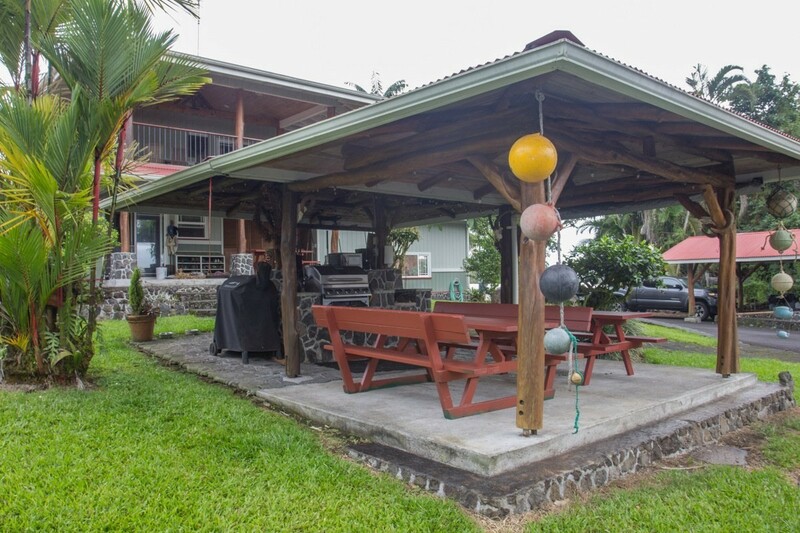 A grand lanai with room for multiple tables. Great for outdoor relaxation and dining. 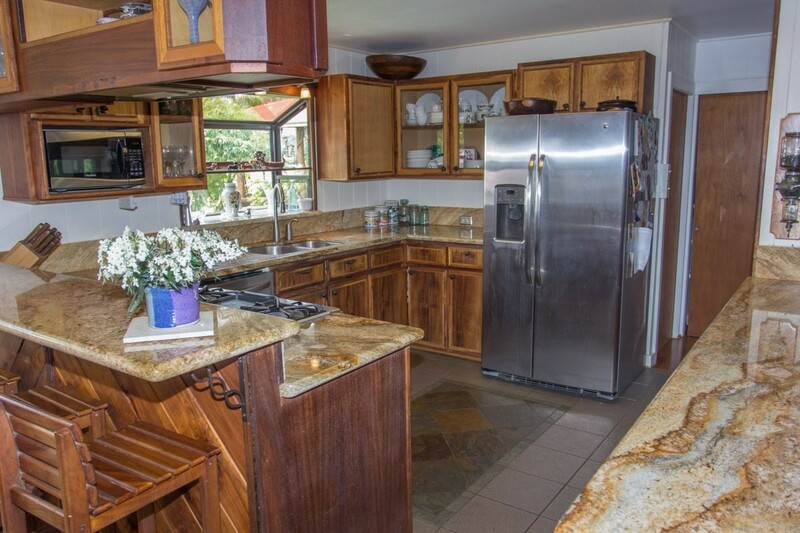 The kitchen features curly koa and mango cabinets and granite counters. Over the sink is a greenhouse window. 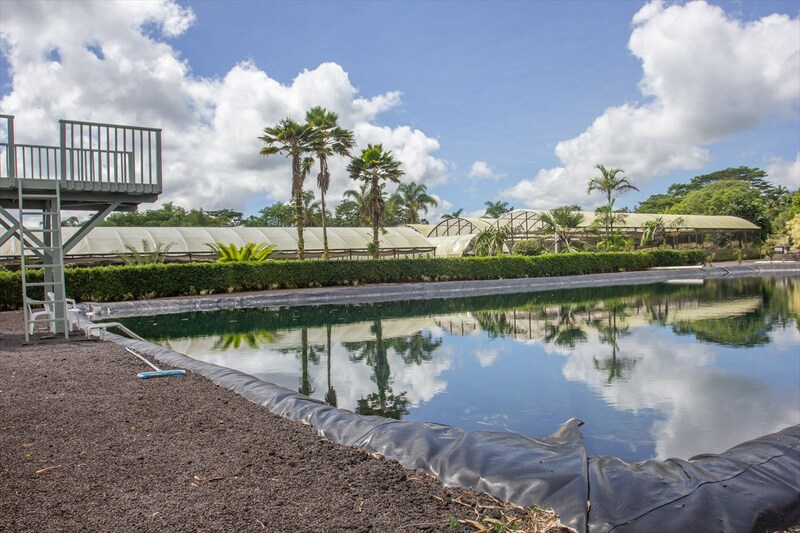 The landscaping includes fragrant flowering trees, vireyas, palms, ferns and orchids mounted on the trees. Whirlpool tub and dry sauna bath house with weight room. Outside is a covered BBQ outdoor living area with running water & electricity. 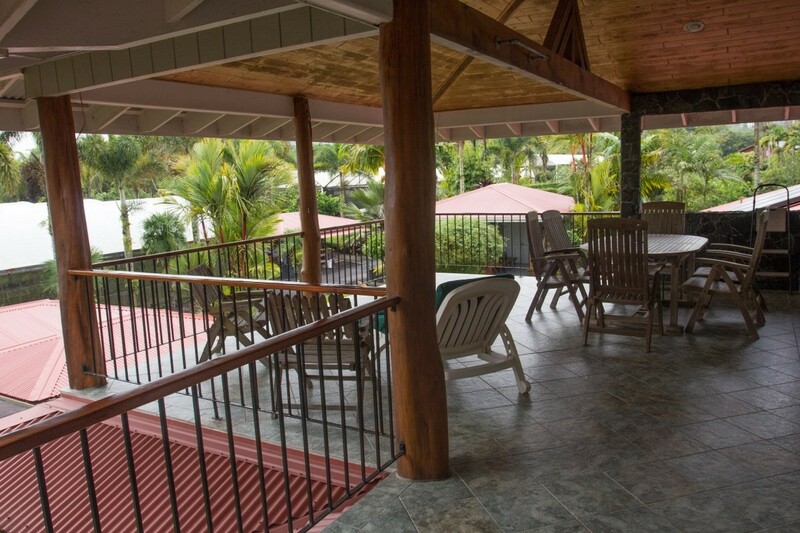 The homes interior features teak and slate floors, covered lanais upstairs and down, granite counters and custom cabinetry. 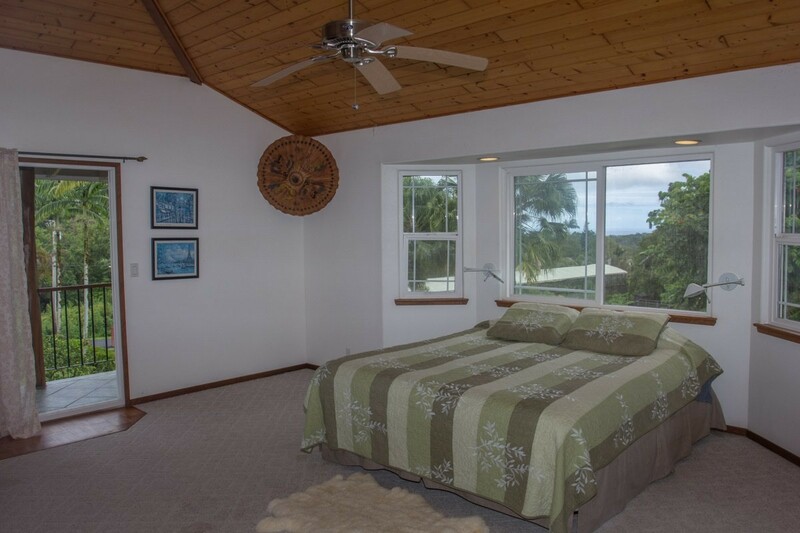 The master suite has an ocean view, private lanai, and master bathroom with 6' tub and separate shower. 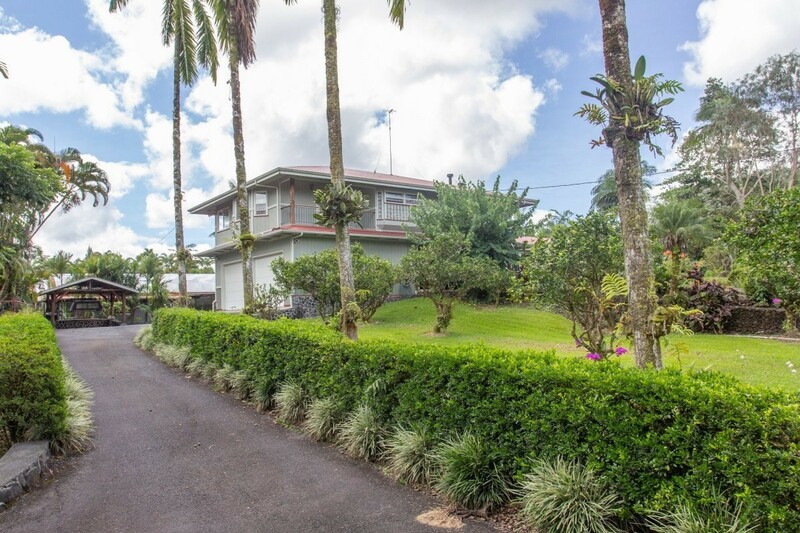 This property sits on a corner lot with a full circular driveway and a separate driveway to the house. 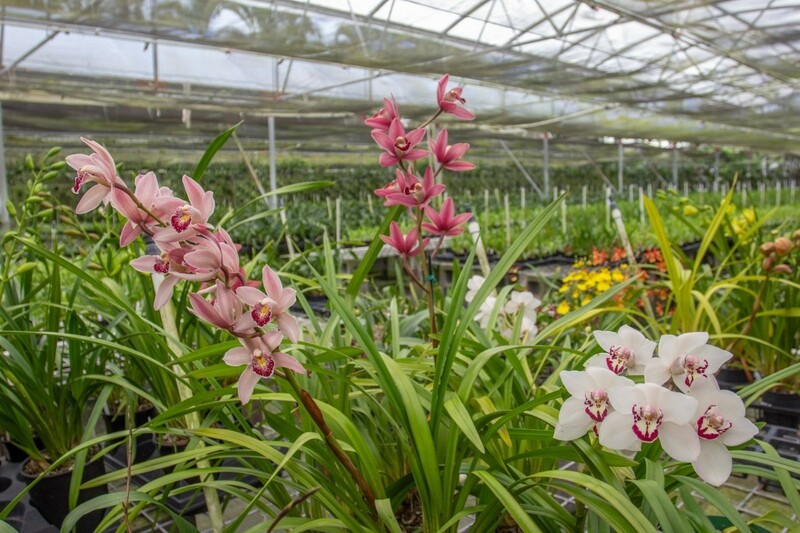 There is a covered potting area for orchids and an office in the packing shed. 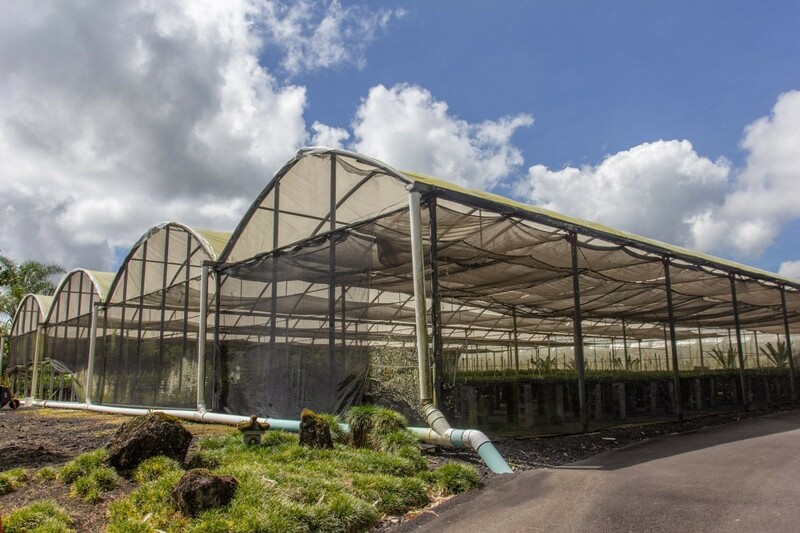 All the green houses are covered with plastic film and have and automated irrigation system that is run by irrigation control panels and tied in with a dual pump injector system. 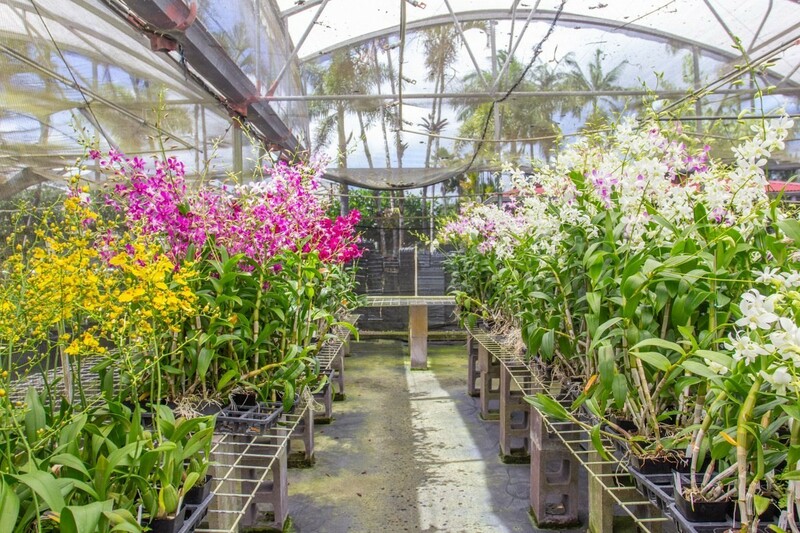 Interior greenhouse space is over 47,000 sqft with about 300,000 orchids. 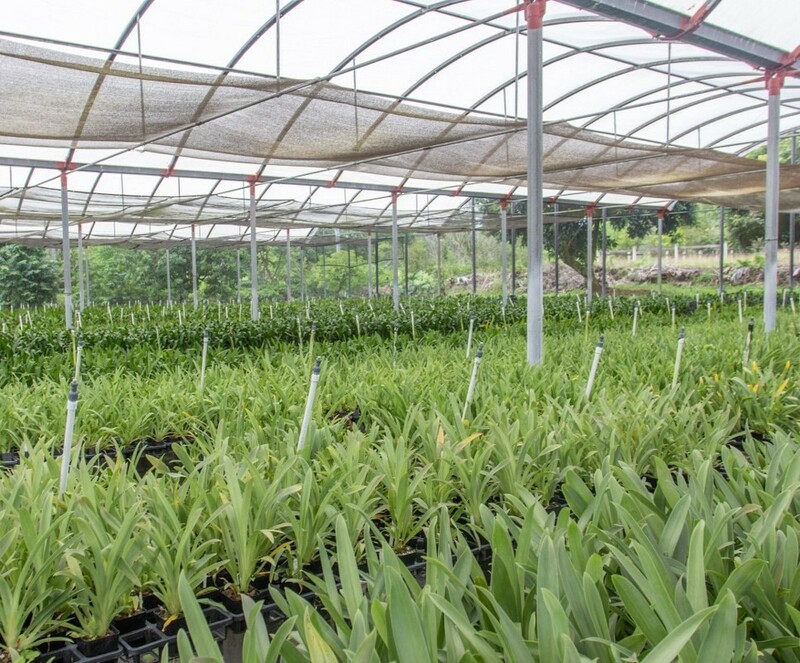 There are orchards producing tropical fruits including oranges, lemons, lime, tangelo, grapefruit, lychee, rambutan, guava, figs, longan, avocado, mountain apple, bananas & others.